Are science and theology at odds? Unfortunately many people think so. 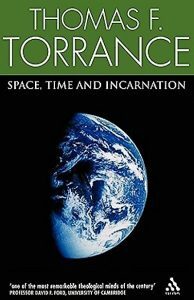 Thankfully, however, many scientists and theologians have come against this dualistic thinking—one well known to us is theologian Thomas F. Torrance. 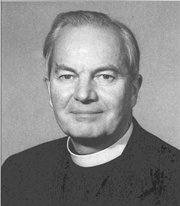 TF regarded theology as a legitimate science and taught that there is a proper way for what he called scientific theology to fruitfully interact with natural science. According to TF, the only way to know how things exist is to know them in a way that accords with what they truly are. He taught that we must adapt our ways of knowing according to the kind of things we’re attempting to know. According to TF, this disciplined way of thinking is what true science is all about. You can’t know the moon, for example, with a microscope, or a microbe with a telescope. God has to be known according to his kind of existence—according to his transcendent “nature.” Thus, in accordance with TF’s scientific theology, God is known best and definitively only where he has made himself known to finite creatures, that is, according to his own self-revelation. TF taught that science and theology overlap, and while each has a different object of knowledge (creation in contrast to the Creator) they mutually help us become better knowers in their respective fields. Seeing creation as an integrated whole, TF expected the results of theology to illuminate all that we find out about creation through scientific inquiry. According to TF, because we come to know God and creation as God’s creatures living in his creation, our knowledge of God and creation must, somehow, be interconnected. However, God is not creation and creation is not God. What we call natural science can tell us about God’s creation, but it cannot give us personal, direct and normative (dogmatic) facts about the nature, character, mind, heart and eternal purposes of God. Only God can give us that knowledge, and that is exactly what he has done fully and finally in the person of his incarnate Son, Jesus Christ—a knowledge that has been preserved for us in Holy Scripture. While the finite cannot know the Infinite by its own powers, the Infinite can make itself (himself!) known to the finite. As Karl Barth said, “God is not imprisoned in his transcendence”—he can and has made himself known to humans in a creaturely form within the limits of our created being (see John 1:14). TF saw science as incomplete apart from theology in that science relies on pre-suppositional basics to work—things like the laws of logic, mathematical truth, the fact that the external world exists, the fact that the past is real and not an illusion of human consciousness, and the fact that the world is so structured that science can describe and predict how the physical world works. TF understood that certain fundamental issues related to the true nature of reality can only be addressed by theology—things like the meaning of life, the foundation for recognizing and affirming the existence of good and evil, the forgiveness of sin, and how to know God. TF taught that though there are both finite and transcendent realities to be known, they are not necessarily automatically or easily known. Knowing them requires critical thinking and methods for detecting error—for we can get it wrong in both science and theology. This “critical realism” does not put into conflict the dynamics of how we know things with the dynamics of the real being of things we seek to know. 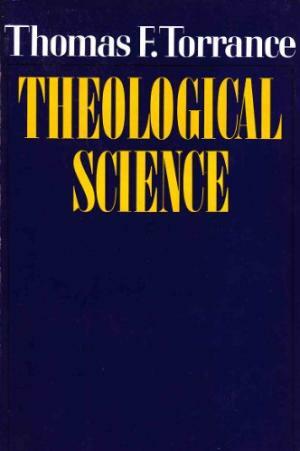 TF defined theology as being “a dogmatic, or positive and independent, science operating on its own ground and in accordance with the inner law of its own being, developing its distinctive modes of inquiry and its essential forms of thought under the determination of its given subject-matter.” He then noted that the natural sciences have done exactly the same thing in their investigations of nature. According to TF, God, who is the object of scientific theological inquiry, sovereignly determines whether and how he will be known. He has done just that according to his holy, loving will through the mediation of the knowledge of God in Jesus Christ, the incarnate eternal Son of God. We know God as triune through Jesus Christ by the ministry of the Holy Spirit. The triune God has revealed himself to us as the Father, the Son and the Holy Spirit in his own eternal and undivided Being. The strictly natural theologies make the fatal error of setting up theological norms that override those revealed in the Bible concerning Jesus Christ. They determine these norms by what can be discovered in nature and then abstract the existence of God’s being from God’s external actions in nature (within time and space). In doing so, they limit themselves to concepts about God that can be detected within the material world. But on that basis, nothing can be said about who God is in himself—in his eternal being apart from time and space—about who God is in his nature, essence, eternal character. The result is that Jesus is reduced to what we can know of him as just another man (the error of Arius’ teaching). According to natural theology, what Jesus tells us of the eternal nature and character of God (e.g. that God is Triune, that God is loving in his eternal being, that God can remake and put right the past, that God is entirely faithful and has no evil in his being at all) cannot be trusted because such claims cannot be verified by studying nature (things limited by time and space). What Jesus does cannot, in this mode of thinking, be identified with who God the Father and the Holy Spirit are. The assumed gap between the created and the Creator controls what we can know and believe, before it is even explored. This is because an unscientific method has been applied to the task of knowing God “from below” before the nature of the object of our knowledge is considered. This approach results in a knowledge of God that, at best, leads to deism. It certainly does not lead to understanding the true nature of God, which has been revealed by God in time and space, and flesh and blood in Jesus, the Son of God who is also the son of man. TF embraced the teaching of Athanasius, Irenaeus, Luther, Calvin and Barth that natural knowledge of God’s creation must not be excluded from nor seen in competition with revealed knowledge of creation that comes to us through the incarnate Word of God and biblical revelation. TF held science in high esteem and viewed “men and women involved in scientific endeavor as being the priests of creation” (The Ground and Grammar of Theology). He taught that as we come to know creation we can illuminate its meaning and purpose as it relates to God and God’s ultimate purposes for all things and not just the functioning of various unrelated bits and pieces. Thus our knowledge about creation, scientifically discovered, can become incorporated into part of our worship, personally and corporately. We can show how creation itself, even in some scientific detail, praises and gives glory to God—like the Psalmists did, with their observations of creation. In TF’s view, there is plenty of room in theological science for scientific knowledge of nature (creation), that is, for the results of natural science. Theological science can explain the basis for why we can know nature and can incorporate what natural science discovers about it. But the practice of natural science cannot ultimately explain itself or God simply on the basis of its own functioning principles. Theology is the more comprehensive discipline and natural science ought to welcome this and make its findings open to theological interpretation. On the other hand, theology (in accordance with TF’s theological science) can remain open to incorporating the actual findings of natural science concerning nature (though not open to the philosophical speculations of some natural scientists). God has given us both natural science and theological science so that we can know more about him and his relationship to creation and so creation’s relationship to him and to us. Scientific theology describes how we come to know the truth of Holy Scripture in a way that corresponds to the way we discover the truth of the natural world. I love the picture of the light of God shining upon us and revealing more and more of himself to us, thus building our relationship with him as creatures living in God’s creation. For those who would like to read more on the topic of scientific theology, following is a lengthy quote from TF Torrance’s book “God and Rationality” (pp. 114-117). This quote was provided by Gary Deddo. It may help before we go further to think a little of what we intend by science. Science is nothing more or less than clear, precise knowledge. Neither in natural science nor in Christian theology do we have an esoteric way of knowing. There is only one basic way of human knowing which is found to operate in every field of human experience, in religious as well as natural knowledge. Science is the rigorous and disciplined extension of that basic way of knowing applied in exact, controlled, and organized ways to different fields of experience. In every field we know something in accordance with its nature, and so we let its nature determine for us the mode of rationality we must adopt toward it and the form of learning or discovery appropriate to It. If the nature of what we seek to know is quite determinate and mute, then we must act accordingly, and put our questions in a determinate, experimental form in which we force it to answer us and so to declare itself to us. That is what we do in physics. But if the nature of what we seek to know is self-determining and capable of self-expression, then we must act accordingly, and put our questions in a different empirical form in which we listen to what it has to say to us in its own self-disclosure. That is what we do in psychology. discovery. This applies equally to our knowledge of God. It would be scientifically impossible to prescribe toward Him the same kind of approach which obtains in physics or in psychology, for that would be to presuppose from the start that God is not different from what we investigate in those sciences. If He is not a physical object we cannot manipulate Him by experimental questioning and if He is not a dumb idol we cannot put our own answers into His mouth, but must rather adopt in our inquiry of Him the kind of approach that obtains in prayer and listen for His Word. In our inquiry into natural processes we are concerned with discovery, but in our inquiry into God’s activities we are concerned with revelation: that is in line with the scientific requirement to develop knowledge strictly in accordance with the nature of that into which we inquire. Scientific knowledge of this kind implies that we must learn to distinguish what we know from our subjective states and conditions. This is one way to state the basic scientiftc principle of objectivity, but it is only an extension of our fundamental mode of rationality. We are rational when we act in accordance with the nature of the object. To behave as though this table were not there or as though it were a personal being would be quite irrational, for it would not be treating what is ‘there’ in terms of what is the case. Since scientific thinking rejects all irrationality and unreality of this sort it will not allow us to impose upon any object we claim to know ideas of our own invention or ideas that we have transferred to it from some other kind of thing. This is why the scientific thinker must be ruthlessly critical of himself and his preconceptions, in order to prevent himself from overlaying the object of his knowledge with stuff that does not belong to it and which only obscures and distorts genuine knowledge of it. On the other hand, since we must let the nature of what we know prescribe for us the mode of rationality we adopt toward it, science must take account of the subject of the human knower. In fact it requires of us, with all its rigour, controlled adaptation of the subject to the object. That is why it is quite unscientiftc to transfer from one field to another the distinctive mode of rationality that develops within it. Thus we cannot assume impersonal, objectivist forms of behaviour toward personal subjects, but must assume personal, objective modes of behaviour toward them if we are to know them in a responsible and rational way. This is why it would be quite nonsensical to look for God through a radar telescope or to imagine that we can reduce knowledge of Him to a mathematical formula. Here we are up against the scientific principle of fidelity which lies at the bottom of what we call ‘the scientific conscience’. We must be faithful to what we know, and act and think in ways of relentless fidelity toward it. suffers an adaptation in accordance with God’s self-revealing activity and nature. Hence what Christians call ‘faith’ is not something irrational, far less anti-rational, but precisely the very opposite, the proper behaviour of the reason in accordance with the nature of the divine Object, i.e. rational love. Something of this is apparent in our personal ethical relations with others in which we learn to love our neighbour objectively for his sake, no less than we love ourselves, and in which we ourselves attain richer and fuller subjectivity. But it is supremely in rational love toward God, as we love Him objectively for His sake who is the source of all love and rationality, that we ourselves are established as rational human subjects. This is objectively orientated and controlled subjectivity, the faith that works by love, that faith in which the human reason freed from self-love is open and ready for the truth. Thank you Joe for this important contribution. All too often faith and science are portrayed by Christians and unbelievers alike as being entirely incompatible. This is most unfortunate. Quite to the contrary, I find it thrilling and deeply rewarding to explore and wrestle with the mysteries in the Book of God’s Word and the Book of God’s Works. This exploration allows me to appreciate more completely the marvelous and wonderful God we are privileged to worship. The either/or approach is both unnecessary and detrimental. We should be open to truth, as revealed in Scripture, in the incarnated Son of God, and creation. Natural theology, I believe, can be useful and enriching as long as it is understood within the framework and lense of divine revelation. Regarding the citation from Deddo: This is the long way around to the idea that God is different from anything that we know and, hence, we cannot apply the scientific method to him. This same idea has been invoked by evangelicals for decades. After we strip away the scientific method, it leaves us with such qualitative standards as being rational and precise – something that writers of systematic theology have always attempted to do. This theology could be called scientific, if that is desirable, but it certainly is a very “soft” science. St. Paul testifies in Romans 8 that this first creation has been subjected to passing away and in hope is awaiting its rebirth. So, wouldn’t it be prudent to proclaim, confess and preach the inauguration and commencement of the new creation, the all-surpassing beginning, when God raised Jesus from the dead?